The Enforcement Division has a staff of 12 veteran investigators (Special Agents) with more than 300 years of combined law enforcement and investigative experience and four support staff members. Four of our Special Agents are graduates of the prestigious Federal Bureau of Investigation (FBI) National Academy. Special Agents conduct complex investigations in response to complaints or evidence of alleged securities fraud. The investigation of financial crime involves intense efforts to examine and analyze large quantities of information ranging from electronic data to paper records. Special Agents are required to field investor complaints related to suspicious, unsuitable and/or illegal investment offerings and the sale of fraudulent and unregistered investment products. 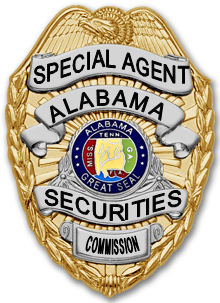 The Enforcement Division coordinates its actions with the ASC Legal Division and local, state and federal authorities to thoroughly examine complaints, analyze financial transactions and help bring legal action against any person or entity that violates the Alabama Securities Act.